Many foreign injection mold buyers faced buying problems in China, different business culture and language make things complicated and sometime risky. This article will provide a basic guide for you to understand and identify the Chinese injection mold companies. Especially for the one who just start to deal with Chinese mold makers. When you are a foreign buyer and get an offer from a Chinese injection mold company, you should not just care about the mold price but also require other information. What is the mold size designed? Adequate mold base size provides the necessary strength and stability of injection molding performance, try to lower down the injection mold price by inadequate mold size endanger mold quality. There are various mold steels out there, their performance has very many differences, the difference also reflected in unit price. P20 pre-harden steel only cost 20RMB/kg,meanwhile harden steel 1.2343 up to 80RMB/kg from LKM. How many shorts are the molding cycle guaranteed? Ensure that you get a commitment to guarantee that the injection mold can full fill your production demands. What is the accessory standard? 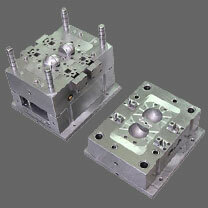 The designed mold and accessory should apply to the standard where the mold run injection molding to ease the mold maintenance. Standard for Europe is HASCO, North America is DME. Generally payment term accepted by Chinese mold factories are 40% with PO, 30% with T1 sample submit, 30% before mold shipping. As a custom made product, mold payment term is not that adorable than other products, a long term relationship would make the payment term flexible by negotiation. How long it will take to do mold design? Depends on the complexity of the part/mold structure, it will normally take 2-3 days for 2d layout,3-5 days for 3D detailed design. Does the mold design included in the offer? The design data is supposed to be provided and authorized by the buyer, no extra charge for design or design modification. How to do mold making management? As the buyer is far way from where the Chinese mold factory locate, a tight and well planned schedule are supposed be submitted and a weekly tracking report graphically provided by the injection mold maker. A project manger will be assigned to report and communicated with mold buyers. Mostly, a Chinese mold manufacturer who is experienced with mold export business would usually have project managers employed with mold making experiences and English ability. How long it will take to make the mold? Depends on the mold size complexity, small size /easy structure molds take around 20-30 days, complex and large size molds take 35-50 days. How to ensure the genuine steel used? The steel used by Chinese mold suppliers usually are purchased from LKM, LKM is the biggest mold base/mold steel supplier in Asia, steel and heat treatment certificates are available. Who is responsible for the mold test plastic resin? Material that is easy to get at local should be prepared by the injection mold supplier, some of the special resin that can not be purchased in China should be provided by the buyers. What will be provided along with samples? For better evaluation on the mold condition, along with the samples, the gate/runner, injection molding parameter report, molded part dimension report should be provided. Who is responsible for the sample delivery cost? Sample delivery generally is responsible by the injection mold manufacturer; this cost would drive the plastic mold maker try to make the injection mold project success as quickly as possible. Who is responsible for the mold delivery? Base on the negotiation in the quotation, many delivery term conditions are available, FOB, CIF, DDU. How long it will take to do delivery? Depends on the delivery way, delivery could be made by air shipping, sea shipping, it takes 1 week by air shipping, 20-25 days by sea. This article just provides a basic guide, there are many other aspects you should pay attention before buying mold from China suppliers.